Again, the mortgage rate market is tantalizing lending folks with dreams of breaking the 4 percent barrier, as the 30-year fixed average jumped at the end of the week, reaching 3.75 percent towards the close of the markets. The major drivers were the good numbers that came out of the federal jobs report yesterday, showing a drop in unemployment to the mid-7 percent, a significant improvement from previous levels as high as 9 percent. Further, homes sales are firing up and existing inventory in watched markets is slim, driving up pricing and bidding wars. That in turn drives up demand for mortgages to beat out the other buyer faster. Both factors triggered movement in the market long expecting an improvement this year. The last time the 30-year fixed mortgage even came close to its current level was eight months ago at the beginning of summer 2012. That said, the average covers a fairly spread out spectrum of lender positions. A number of lenders are still below this aggregate point, but many are above as well. The difference is significant for applicants, as each $100,000 in a loan can be charged as much as $700 more a year per 0.1 percent change. For buyers still on the fence or building up reserves to get into a buying position, today’s mortgage rate news does not represent good tidings. With the cost starting to rise, soon many buyers just getting on their toes could again find themselves locked out of buying a home. Lenders aren’t helping much either, still being very conservative on who they approve. Those with self-employed income are finding it extremely hard to get a mortgage right now. Smart buyers will find a loan and try to lock it now, protecting their position from a higher rate rise versus any expectation the rate will float down. In other rate news, the 15-year fixed mortgage is now sitting at 3 percent, while the 5-year adjustable rate mortgage average is between 2.625 percent and 3.25 percent, staying unchanged. FHA and Veterans’ Administration loans are very competitive sitting under the 30-year year level at their own range of 3.375 percent to 3.5 percent. 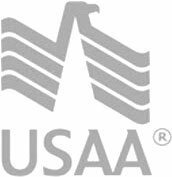 For those with veteran status, clearly the difference from a regular 30-year fixed mortgage can be thousands of dollars per year of borrowing. The next weeks of March 2013 will dictate whether today’s average rate rise will stick or fall back down again. For it to maintain, the sales demand needs to continue and the summer jobs reports need to come in strong as well. The federal sequestration cuts may hamper that result, however, especially if they result in job losses.